Erin Blegen: My Scrap Cabin: C'est Magnifique & Scrapperiket! Good afternoon! It's Monday here and so far...it's a pretty usual Monday. But I just got the kids down for a nap (it's always a SURPRISE how that one turns out, lol) and I wanted to make sure I got on here to share with you a sneak of the October kit from C'est Magnifique, as well as some challenge info! This week, we're sponsoring the Norwegian challenge blog, Scrapperiket. If you haven't been there before, you should definitely check it out! The challenge is pretty easy: use two different fonts- that's it! You can combine with other challenges but you only have until the 29th of September to get your entry in. As long as you create a paper craft of some type, you're welcome to play along! Tired of seeing pictures of my birthday girl? Too bad! Because I'm not, lol!! ;) These papers are just too pretty to not place my little girl amongst them :). Remember the beautiful Inkido papers from Sweden? *sigh*...loved working with them. And now you have the chance to WIN them and some fab embellishments too!! So head on over to the Scrapperiket site HERE and get started! 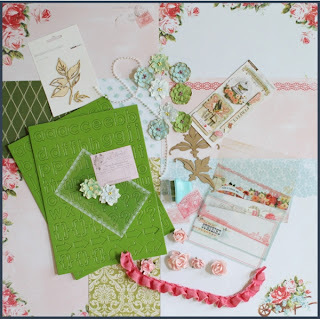 Now, the C'est Magnifique October kit papers and add-ons have been revealed, but if you haven't been over to the blog yet to check them out, here's a look for you! We are featuring paper from Ruby Rock-It, an Australian manufacturer. 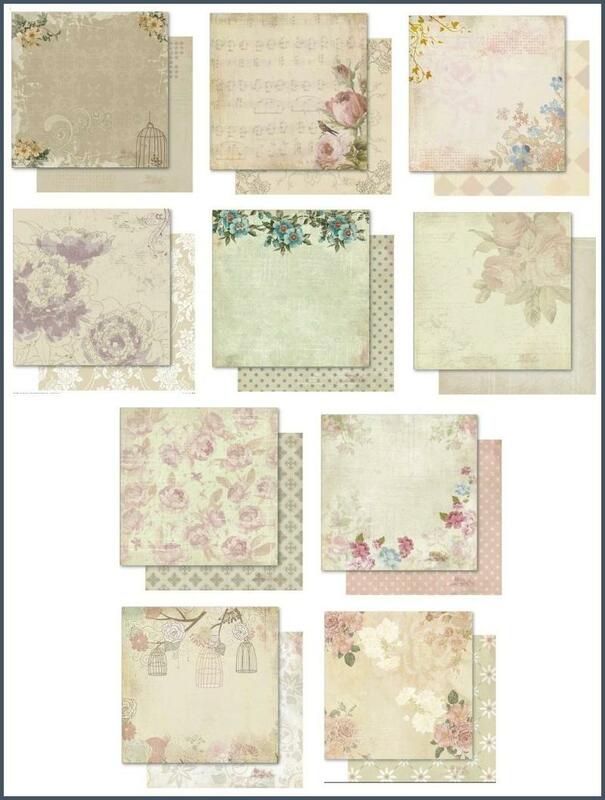 These papers are so soft and dreamy..
We have pulled together some beautiful flowers that compliment this paper. but several of the flowers are available in the store. 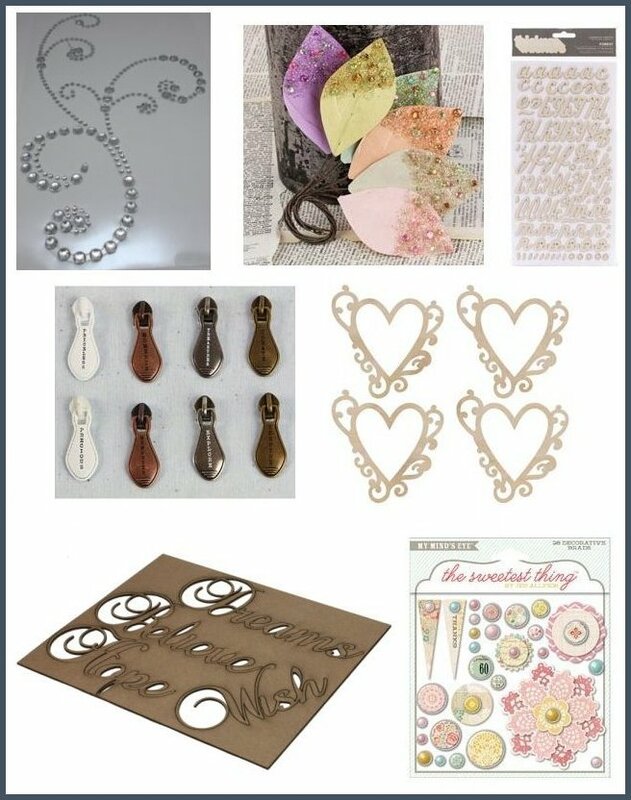 And we also have an embellishment add-on with items from Want2Scrap, Prima, My Mind's Eye, American Crafts and KaiserCraft. 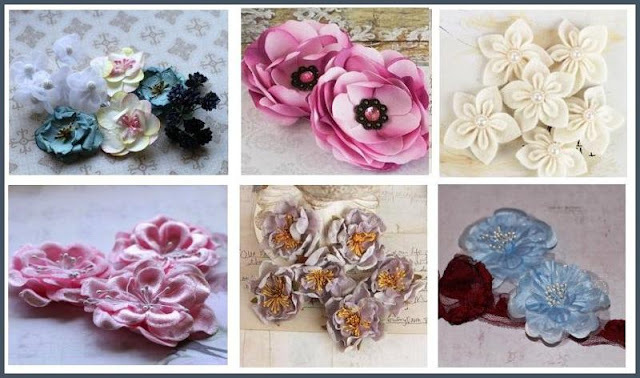 We have a few embellishment add-ons in the store, and some items are available individually, as well. See you soon- have a great day! Oh wow, so feminine, soft and beautiful! You do girly so well! The layout and your daughter are so sweet and adorable! What gorgeous photos and no, I am not sick of them. I am still trying to finish pages with DD's Birthday pics. Love the design and the softness of the page Erin. Beautiful. No one could tire of that cute little thing! Beautiful page as always! There is always so much detail in your layouts -- love that you can find something new with each new look! Stunning! Erin your layout is stunning I love how you play with the pastel colours so masterfully done! 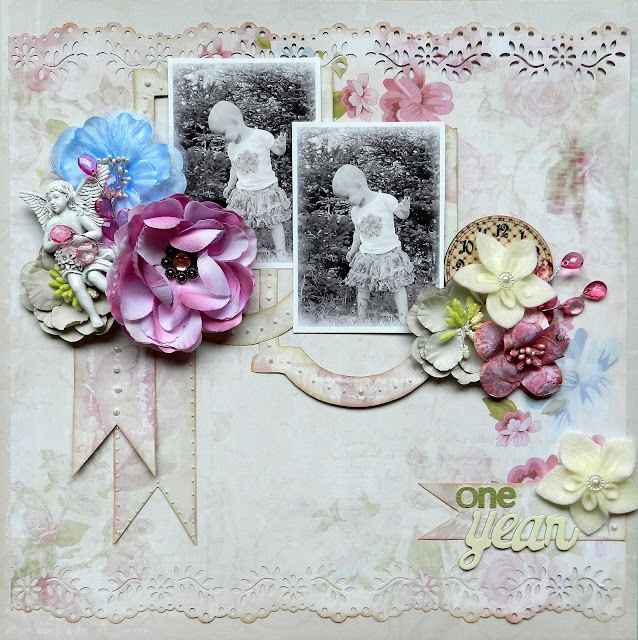 Absolutely gorgeous.. a wonderful layout celebrating your DD being 1!! I could never tire of seeing your kids photos, they are just beautiful as are your layouts, love the little angel on there, adds some nice dimension! So pretty Erin! Lovely papers!! Din yndige lille pige er så smukt placeret på dette skønne LO. knus morkaren. I absolutely love this!!! Such a peaceful and dreamy vibe! Fab!!! So pretty Erin! Love the punch work and gorgeous colors in the cluster of flowers! I never get tired of seeing your sweet little girl. So delicate and lovely, Erin! She looks like a princess! wauw meget smukt lo. du er virkelig dygtig.